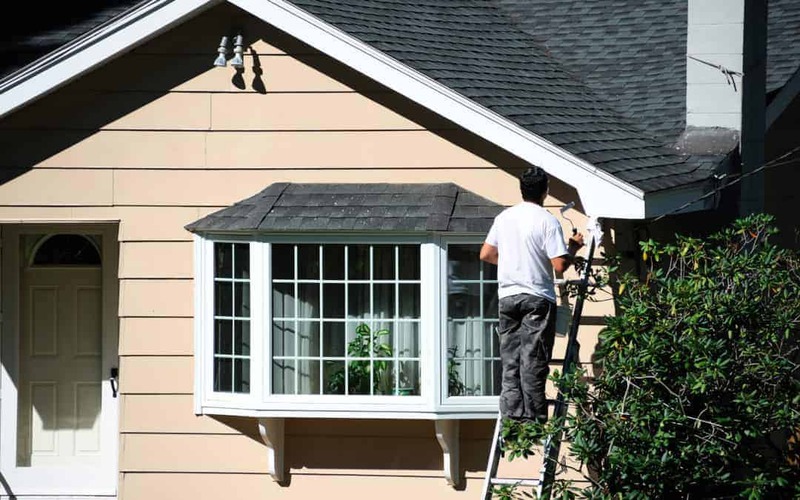 Improving the exterior of your home doesn’t have to cost a lot of money. With a little time and effort, you can get your home looking like brand new again — whether you’re trying to sell your house or just trying to impress the in-laws. Pressure washing the exterior of your home is the fastest way to get it looking like new again — provided that you understand how to use a pressure washer, of course! Pressure washing will make your driveway sparkle and it can also be used to clean patios and fences. If your home is made of brick or has siding, a pressure washer is the perfect way to get it clean without a lot of work. One of the first things real estate agents suggest to those who are about to sell their home is a fresh coat of paint. Painting your home can be surprisingly affordable, and most of the tools that you need can be rented from a home improvement center. Make sure that you set aside at least a weekend to get it done, and aim for a weekend when the weather will be nice and dry; high humidity means the paint will take longer to set. If you don’t want to paint your whole home, consider at least touching up or modernizing the trim. Landscaping has a huge amount of impact on the appearance of your home. Not only should you mow the lawn, trim the hedges, and remove some of the brush and bramble, but you can also decorate. Add hanging and potted plants to the front to give your home a more classic and lived-in look. Benches and other yard decorations will transform your house into a home. You can also consider laying brick or stones to make paths; it may seem like an intimidating process, but it’s really just a bit of physical labor. Lighting is an often neglected area of home design — and yet it’s one of the most important ones. Solar lights make it easy to illuminate your yard in the dark without having to invest in wiring. You can also add lighting to your porch area or along the side of your walkways to both improve appearance and safety. When adding electrical wiring outside of your home, remember to use cables rated for outdoor use! As you can see, you can renovate your home’s exterior appearance over the course of just a weekend, vastly improving its value and appeal. In addition to decorating, cleaning, and painting, you can also consider the addition of a custom built fence. Fencing has been shown to increase property values in addition to property safety, and it’s one of the fastest and easiest ways to improve the appearance of a home. Contact Rustic Fence to learn more.